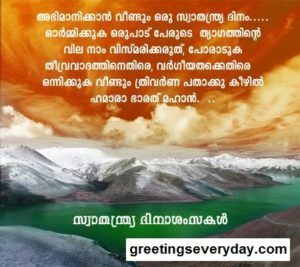 As India will celebrate its 72nd Independence Day on August 15, every countryman will take pride pledge to protect the unity and integrity of our country. On Independence day, parades are held in all state capitals and district headquarters to celebrate the day. Indians will hoist the flag to mark this day. 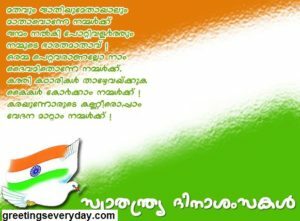 Many also celebrate this day by flying kites and singing patriotic songs and exchanging sweets. Independence Day is also a day to reflect on our country's current state and its achievement after it was freed from the British rule in 1947. 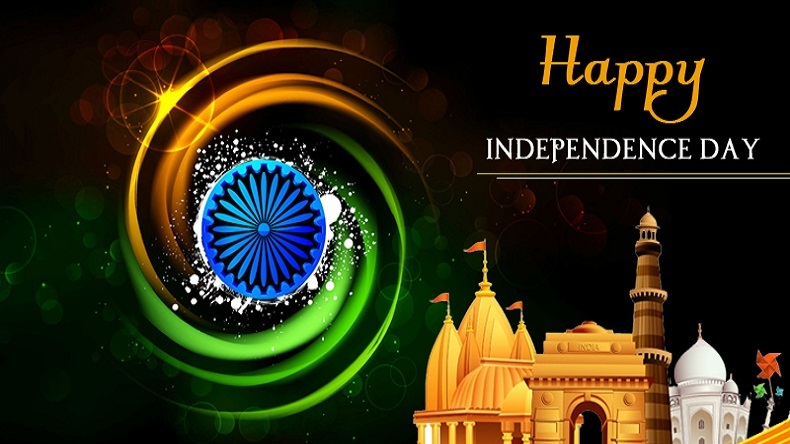 As India will celebrate its 72nd Independence Day on August 15, every countryman will take pride with their hearts filled with memories of those who fought the Britishers and gave their lives to free the country from the clutches of the British ruler. India’s freedom struggle was a long and hard-fought one, and Independence Day is the day to pledge to protect the unity and integrity of our country. On Independence day, parades are held in all state capitals and district headquarters to celebrate the day. Indians will hoist the flag to mark this day. Many also celebrate this day by flying kites and singing patriotic songs and exchanging sweets. This day also special as the President addresses the nation in a televised speech. The Prime Minister also addresses the nation from the ramparts of Red Fort in New Delhi. Independence Day is also a day to reflect on our country’s current state and its achievement after it was freed from the British rule in 1947. Ormikkuka ! Orupadu perude thyagathinte vila NaaM Vismarikkaruthu. Poraaduka vargeeyathakku ethire ! Theevravadhathinu ethire ! Onnikkuka Thrivarna pathakakku munnil ! 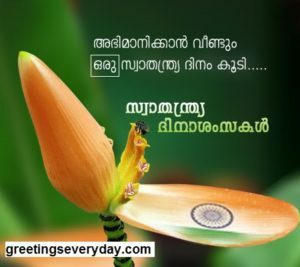 Hope you got information about Independence Day 15 August Quotes, Wishes, SMS, Messages, Greetings in Malayalam.